I barely got to take a photo, these were soooo good! Cinnamon Butter Thins. Oh. My. Goodness. Have you tried these? TBG had some at work, and next time we were in a store, he picked up the box and said something about it being a lucky box tonight or some such…. Not exactly certain about what he said. But, we opened the foil inner pouch containing these little rascals, and ohmygoodness were they good. 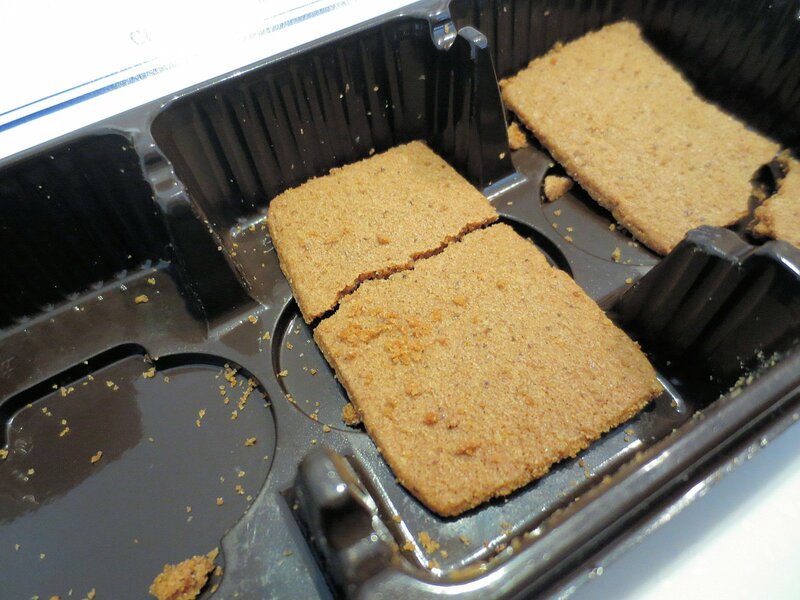 Tiny little thin buttery bits of cinnamon goodness, all nestled down into their own little plastic cubbies….. Protecting them, you know. 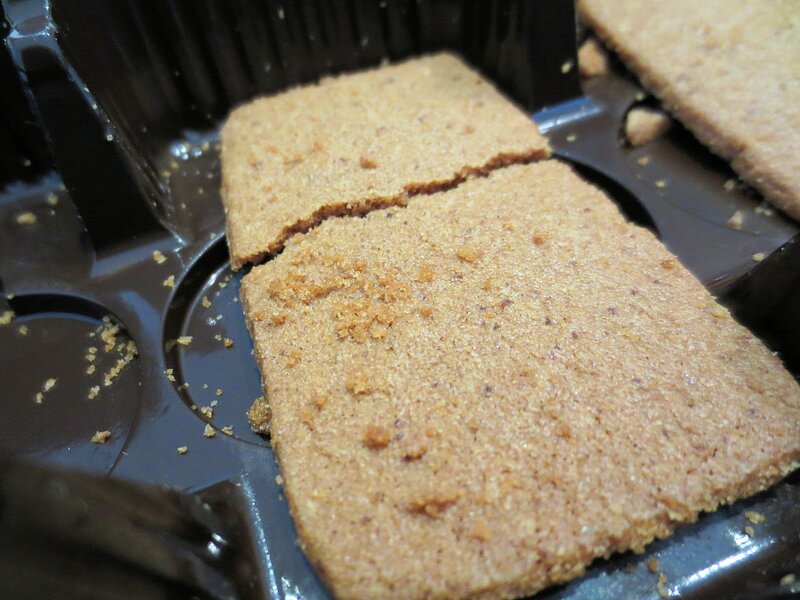 TBG said “I’ll eat all the cracked ones and save the whole ones for you.” Um hmmm…. Uh, no. He’d have slammed that package down on the counter so they were ALL cracked!!! Twerp. Tiny little bites of yumminess. Anyhow, they’re called Zimtbutterkekse, which translates to cinnamonbutterheaven in English. They remind me of a Paula Deen recipe….. you know – they begin with “melt a stick of butter and we’ll decide what we’re gonna bake.” They’re thin, light, and quite crispy, but it’s when they’re good and chewed up that the buttery flavor comes into play here – they’re tasty enough you almost don’t wanna swallow them! Kinda sorta like a super thin gingerbread cookie fried. Kinda. Sorta. But not greasy. Too bad this one was cracked…. that meant it was TBG’s. You can see, I almost forgot to take any photos of them before they were all gone. Well, you can see that TBG had a couple left…. <Smile>. 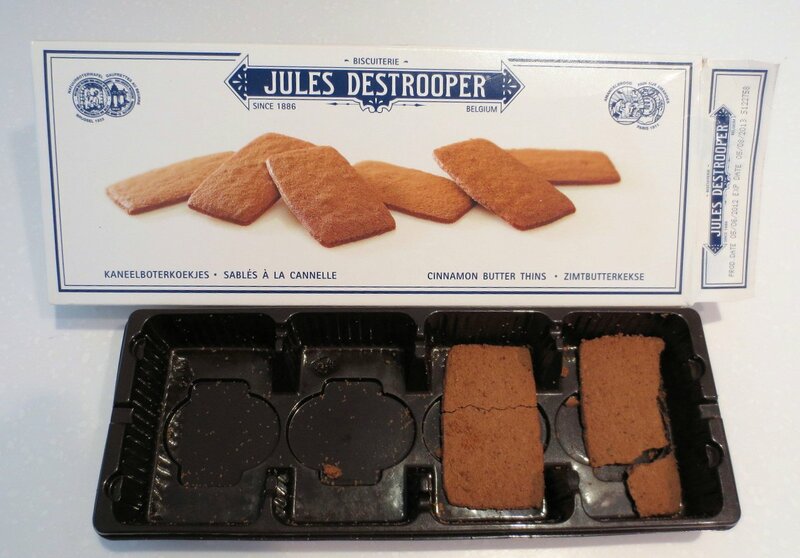 Honest, if you see these, made by a company called Jules Destrooper Biscuiterie since 1886 of Belgium, just get them. Really. They came all the way from Belgium. You know, these were baked by the “purveyor to the Belgian Royal Household”, I’m thinking we’re eating like royalty!